2013 has been flying by! I can’t believe it’s December already and time for the last Best of 25 stamp set! These stamps were chosen from various Sale-A-Bration stamp sets over the years. See that flower at the bottom, in the middle? That was a stamp available at the time when I signed up to be a Stampin’ Up! demonstrator. Fun memories flooded my mind as soon as I saw that flower! Of course the thought of Sale-A-Bration makes me excited too, our next Sale-A-Bration is right around the corner! 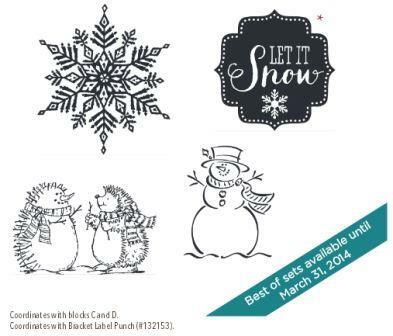 Remember, all Best of 25 stamp sets are available for purchase through March 31, 2014. You can view all 12 Best of 25 Stampin’ Up! Stamp Sets by following the link given here. Tonight is our last Christmas Card Class – how can that be already?! I look forward to seeing some of you there! Have a wonderful day! It’s time for the November Best of 25 stamp set. This month the theme is snow! Frosty has come back to visit us in this stamp set! Frosty was around for years as a favorite, it’s good to see him and the hedgehogs back to visit us for some more stamping fun. There is just one more Best of 25 stamp set to come out in December. These stamp sets are all available through March 31 and then they will be gone. Be sure to order the stamp sets you are interested in! DSP Sale & New Stamps! Do you like the new Designer Series Papers which came out in the new Catalog? This month is a perfect time to stock up! Stampin’ Up! is offering the $10.95 packs of DSP at Buy3, Get 1 free! This special is available now through the last day of July! This is a super great deal! That’s not all the news I have for you today though, keep reading! It’s time for the May Best of 25 stamp set! This time the images are focusing on Brides and Babies! I know some of you will also be excited to see a “Happy Anniversary” stamp in there too! 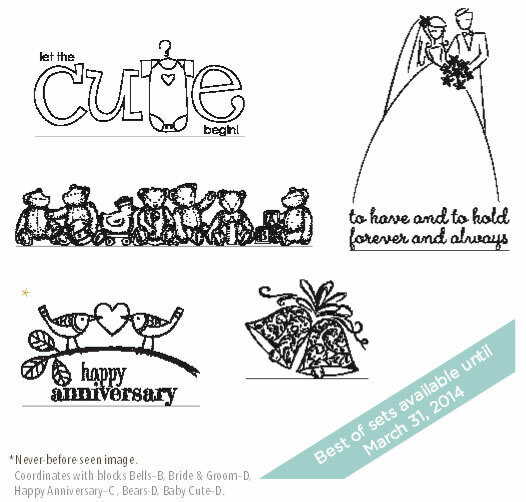 Several of you have mentioned the need for an anniversary stamp. This set has a huge favorite, the bride and groom! I have the original stamp set which has this image and it’s a well sought after stamp set called To Have and To Hold. In the original, the bride and groom and the two lines of text are all separate images. If you wanted that, it looks like there is enough room to carefully trim the words off. 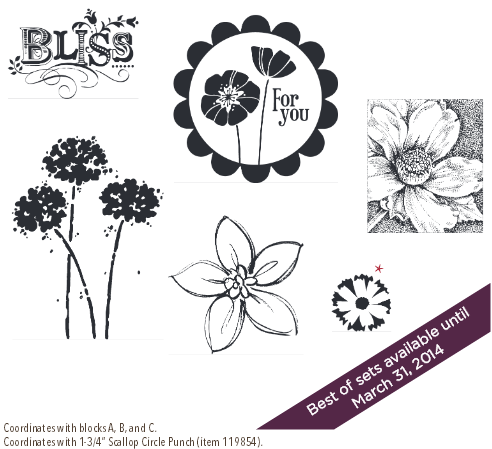 This stamp set is available in clear-mount, item number 133482 for $14.95. Don’t forget, if you are investing in multiple Best of 25 images, you can print the Best of 25 Collector’s Card and earn a free stamp set or two!